Like our Executive jewellers, David Everett and Ian Brookes, we are where creativity and technical excellence meet. Decades of jewellery and goldsmithing experience with leading Adelaide studios… all go into your ring. You drive your ring design with the jeweller creating it, so you’ll love the experience as much as the outcome. What’s more as proud South Australians, Everett Brookes’ believe in giving back to local community and charities. Awarded the ‘Best Jewellery Retailer’ in Australia and New Zealand at the inaugural Jewellery Industry Awards, EverettBrookes promises a creatively unique difference. You’ll only ever leave EverettBrookes with a ring you love. We’re bespoke jewellers. We can design anything. Show us photos with features you like. Sketch the ring you want. You have total freedom. Our hand-made rings are stronger, heavier and made with a designer’s love. Mass-made rings whilst economical are softer, lighter and, sadly, less durable. You can see us after-hours so you can relax. We’re open late on Friday night and Saturdays, but if mornings are better, let us know. Celebrate creating your ring with a beer, wine or champagne… on us. We want you to enjoy the process. Diamonds are a girl’s best friend, but bubbles are a close second. Or perhaps a cappuccino is more your taste. That’s the most important thing. You’ll only see your ring when it’s complete, as we make it from scratch. If you’re not happy with it, we’ll modify it. If that’s not possible, we’ll re-make it… at no cost! Rings, pendants, bracelets, bangles and earrings. Every product we make has a lifetime warranty on workmanship. You’ve found your life partner and designed a truly one-of-a-kind ring. Now you can bring it to life with one of our experienced jewellers – free! Your complimentary DVD is perfect to share this unique experience with family and friends. You’ll love it as much as these other couples did. Wedding, engagement, promise, commitment and eternity rings… all created by them. 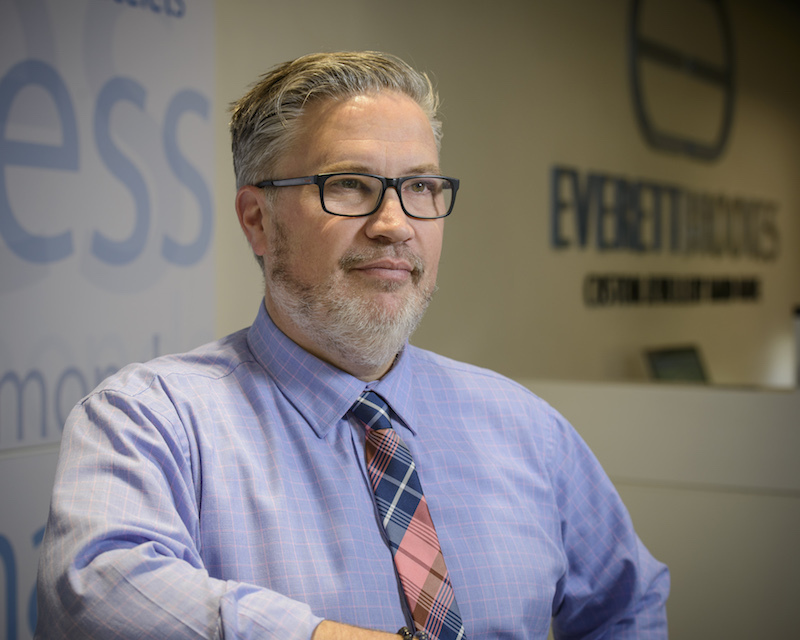 EverettBrookes are proud members of the Jewellers Association of Australia, in fact, Ian Brookes was Director of the South Australian and Northern Territory branch from 2007-2013. The JAA is proud to promote the highest standards and ethics within the Australian jewellery industry and encourages consumers to shop with confidence where they see the JAA member sign. In the event of a dispute, the JAA also has a nationwide system of dealing with customer complaints – including a JAA Information Hotline, freecall 1800 657 762, which allows consumers to obtain information and assistance. As a member of the Association we agree to adhere to a code of conduct which is put in place to protect the jewellery buyer and keep the high integrity of jewellery industry alive. You can trust a jeweller with the JAA Member sticker on their door. After apprenticing with a leading Adelaide jeweller, David’s passion for making is driven by the spirit behind each piece. His other loves include teaching Taekwondo, skydiving and building museum quality models. Ian developed an early affinity for precious metals. 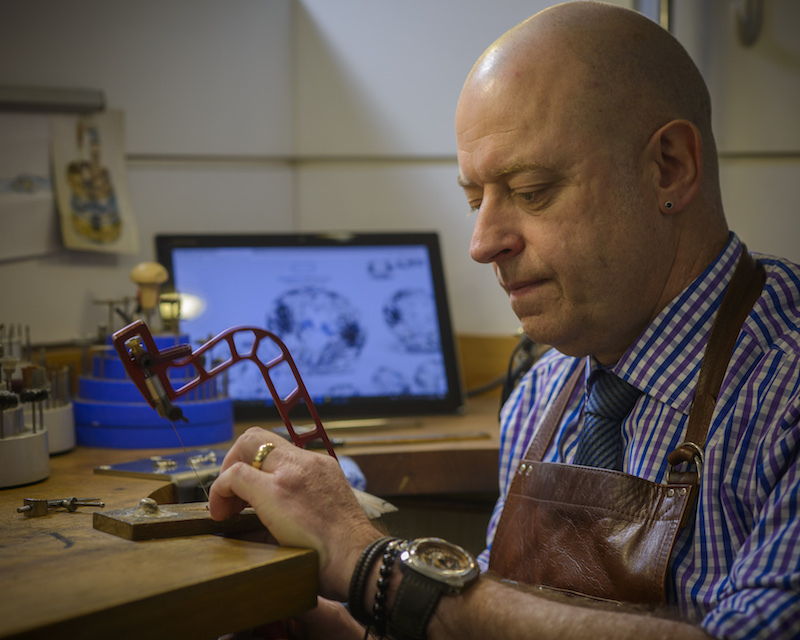 A jeweller himself, Ian loves the technical nature of jewellery. Our former Director of the Jewellers Association of Australia has a second obsession: motorbikes and F1. With us from the beginning, Mike’s our great communicator. With years of premium retail branding and marketing, he brings a passion for the customer experience. 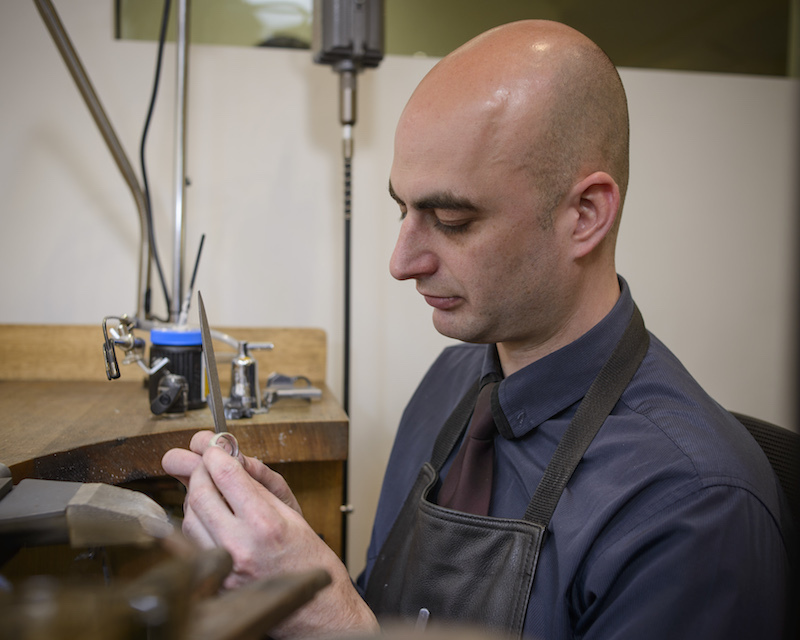 Pure jewellery talent, Jonathon brings over a decade of manufacturing, setting, repairs, and watch repair experience. Trust us, his technical knowledge is second to none. Jarrod was a client before he was an employee! 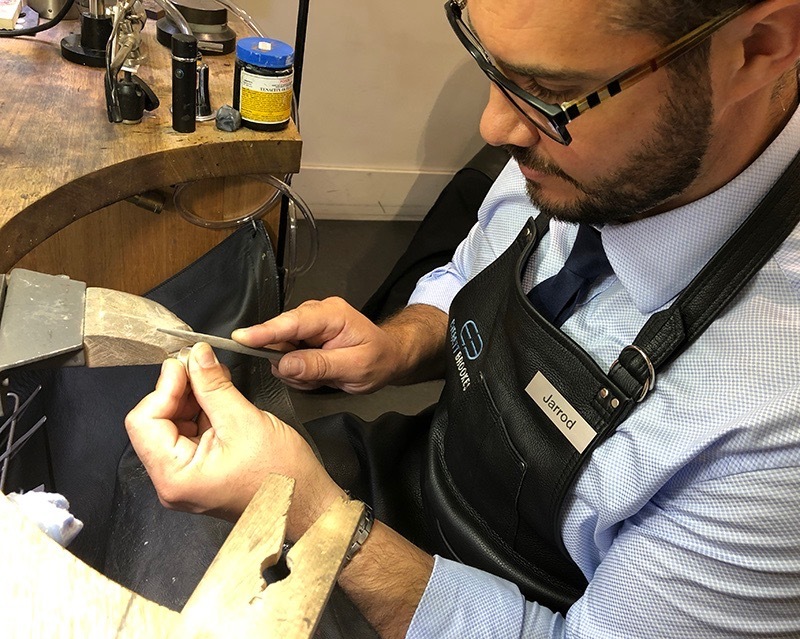 Jarrod made his engagement ring with us and enjoyed the ‘hand made by you‘ experience so much he left his job in construction and undertook further study and training in jewellery manufacturing. 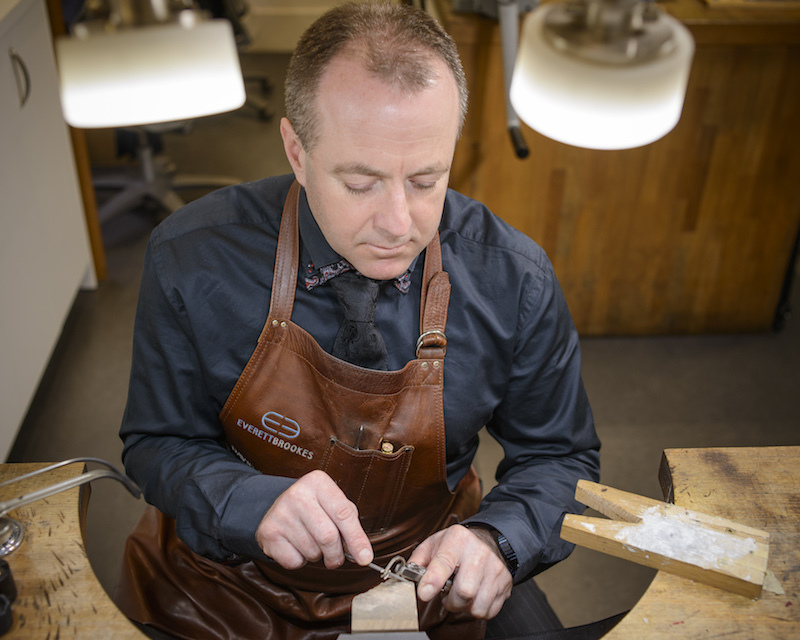 His desire to further his knowledge and skills under our Executive Jewellers has seen him ‘return home’. Carl holds a Bachelor in Visual Art, majoring in jewellery design and is our repairs specialist. He also brings a wealth of experience in 3D jewellery design. 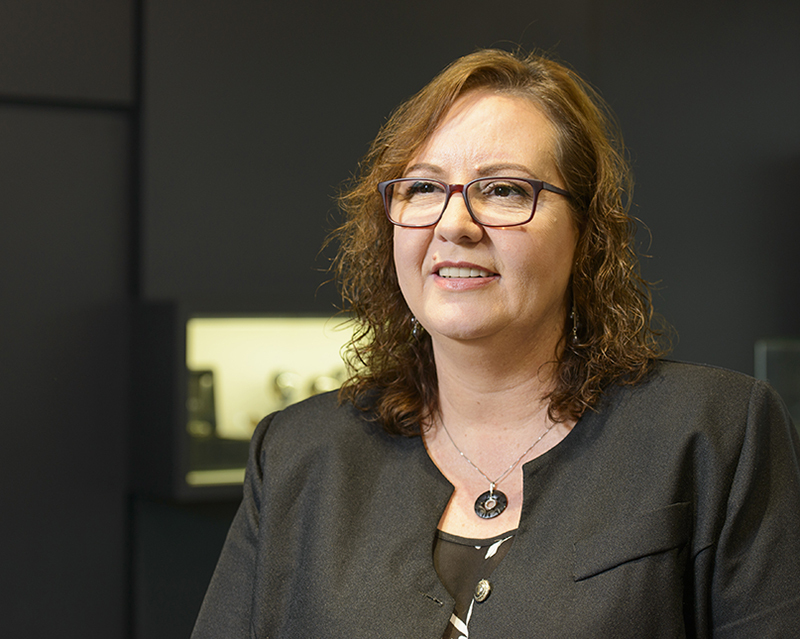 Well experienced in retail and business administration, Linda takes care of our jewellery admin and brings added showroom experience.